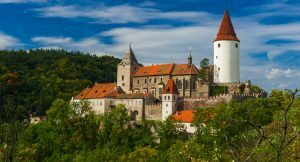 Kutná Hora, situated only 1 hour and 15 minutes drive outside of Prague, the silver treasury and a true gem of the country, was present at the very start of the boom in the Czech Kingdom. Architectural styles, unique buildings from various historical periods and a long history full of winemaking. 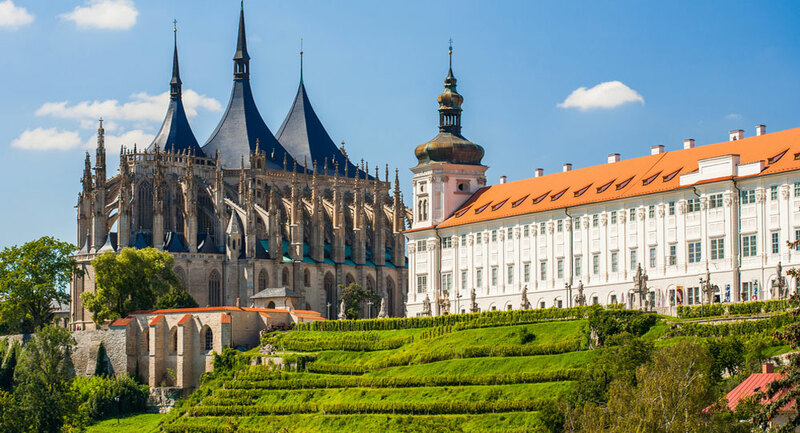 This is precisely what you will find in Kutná Hora, a city whose historical center with the Cathedral of St. Barbara and Cathedral of the Assumption of the Virgin Mary have been included in the UNESCO world heritage list. Kutná Hora was one of the main pillars of power of the Czech rulers. Under the reign of Wenceslas II, the only mint in the country operated here. 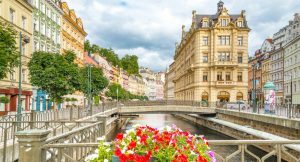 This former royal city, linked with silver mining and the dominant features of its two cathedrals, also offers a remarkable present. Reasons to visit: Kutná Hora has an ossuary which is unique in the world. 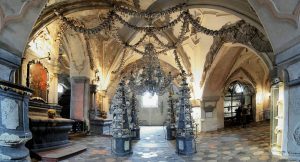 Its decoration was created from the bones of nearly 40,000 people from a liquidated cemetery, UNESCO site, the second most visited cathedral in the Czech Republic.